It looks like a hay poke to me, but it could be something else. Can he blink? If so, and if there's no infection in the eye, it might not have to be removed. You'll just have to treat with the antibiotics and see if it clears up. If he can't blink, call the vet back and ask for some ointment to keep the eye lubricated. Dry eye is very painful, and ointments work better than drops to keep the eye from drying out. 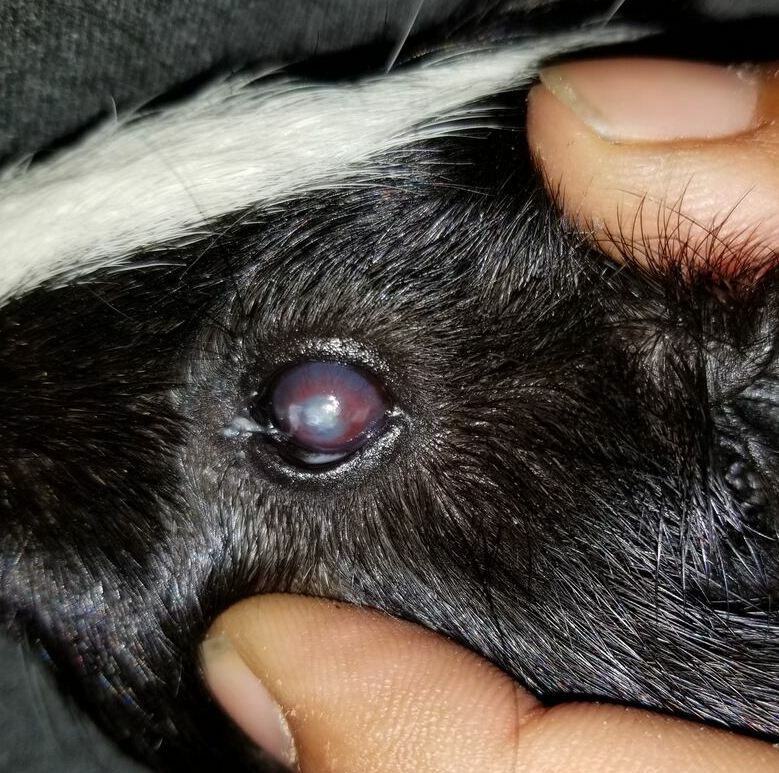 My neutered male Twilight got a hay poke and his eye looked way worse than yours. He is fine. There's a thread on here somewhere that has pictures and chronicles his improvement. The thread is named "Twilights Medical Thread" with NO apostrophe on "Twilights" with JX4 as the author. I don't know how to make a link to it. I couldn't locate the thread with a normal search, only through an advanced search. Would you like me to add your pictures permanently to your thread for future readers? The eye seems to be better to me but I am not a vet. You could also email a photo update to your vet for feedback. It looks better to me, too. Is he blinking? It is a veterinary product and can't be bought at a local pharmacy. You will need your vet to give a prescription. Ophthalmic ointments are specialized. I will try to remember to add your pics tomorrow (thanks). Thanks for the update! So happy to hear things continue to improve! 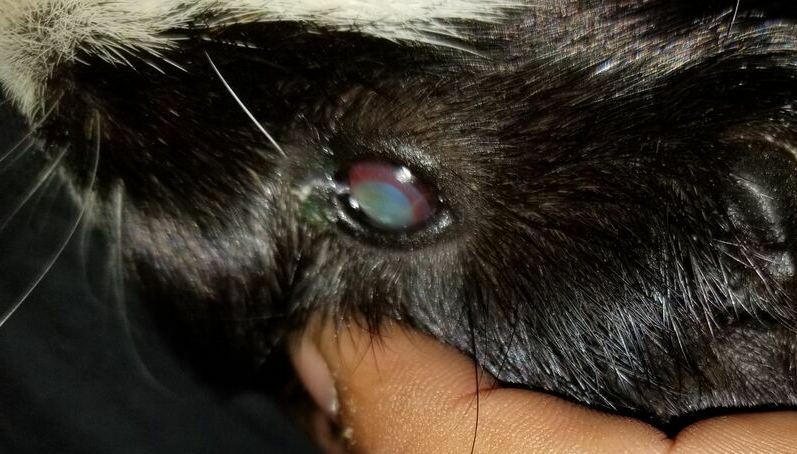 Can your guinea pig close its eye? Do you occasionally see milky fluid (this is cleaning fluid and helps to lubricate the eye naturally)? 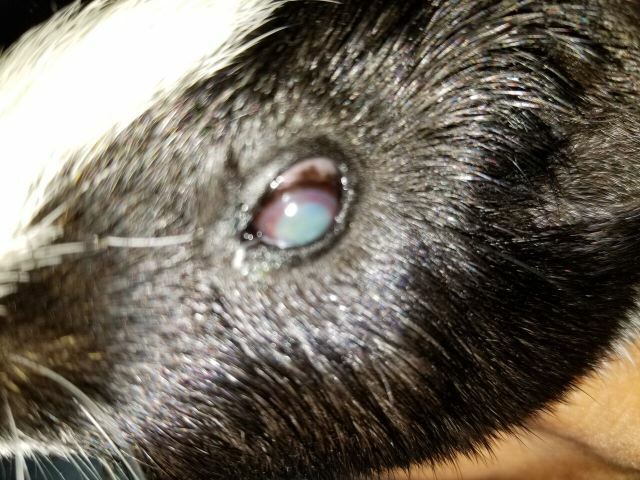 Some guinea pigs that do not have adequate tear production do need frequent lubrication. Creams will stay in the eye longer than drops.